Looking for great list of things to do in Cairns this week, but are also on a budget! No worries, check out these family friendly favourites for the perfect holiday or weekend. 1. Swim in the beautiful clear waters of Crystal Cascades. Along the 1.6km walking track there are many places to stop, swim, relax, unwind and enjoy the cascading waters. Complete the walking track, bypass the No Fear Jump point (have fear!) and reach the top waterfall. This was beautiful and tranquil, so we visited twice! 2. Let the kids run out all their energy at Muddys Playground. Complete with a range of different playgrounds for kids of different skill and ages, a small splash park, Café onsite and a view over the bay, what more could you want! Four hours later we had tired but HAPPY kids! 3. Take a peaceful walk along the Cairns Esplanade passing cool art sculptures and BBQs galore. Be sure to take the kids Skateboard or Scooter as you’re unlikely to be able to walk past the free kids skate park unharmed. 4. Don’t miss a sunset at the Marina. Arrive around 5pm and you should see the boats coming back in as well for the evening! 5. A visit to Cairns is not complete unless you take a cool swim in the free Lagoon in downtown Cairns! Catering for everyone with shallow, deep, overlooking the ocean, grassed and even a sand section! You’ve not visited Cairns unless you’ve swum here. One not to be missed! 6. The Treehouse Playground at Wharf One. A wonderfully designed large tree house surrounding a beautiful fig. Kids love this nature verse construction here! So many things to climb and COFFEE nearby! 7. Visit Tropical Plant paradise, learn about Indigenous food gardens and visit the Butterfly enclosure at the Cairns Botanical Gardens. Be sure to bring repellent though to make sure your trip is as enjoyable as possible. 8. Get your walking shoes on and do the Red Arrow Circuit Lookout for views of the City of Cairns. Only a short 1.3km walk but does involve steps and steep sections. For those ready to get the heart racing, take on the Blue or Green Arrow Circuits – and then tell us how it went! 9. Spend a few hours walking the popular local Markets, Markets and then Night markets! Every night is the Cairns Night Market otherwise choose from Rustys Market open Friday to Sunday in the CBD and the Farmgate markets, open every Saturday morning at the Pier at the Marina. Food, groceries, souvenirs, local products – pretty much something for everyone! 10. 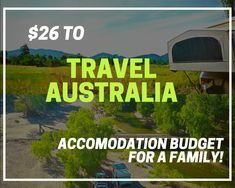 Absolutely don’t forget about all the amazing sites to visit in the Cairns surrounds – Babinda Boulders, Hells Gate, Josephine Falls, Golden Hole, Millaa Millaa, Ellinjaa Falls, Lake Eacham, Tinnaroo Dam, Yungaburra Curtain Fig and this list is only just getting started!! If you like this list, be sure to send us a comment below and subscribe to our email community for updates. 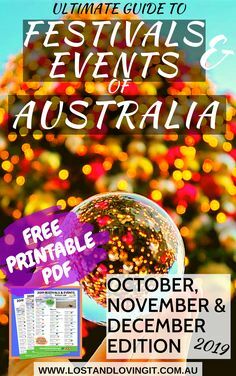 Tagged Travel Budget, Lap of Australia, Travel Tips, Best of Australia, Queensland, Free Things on the Road, Cairns.